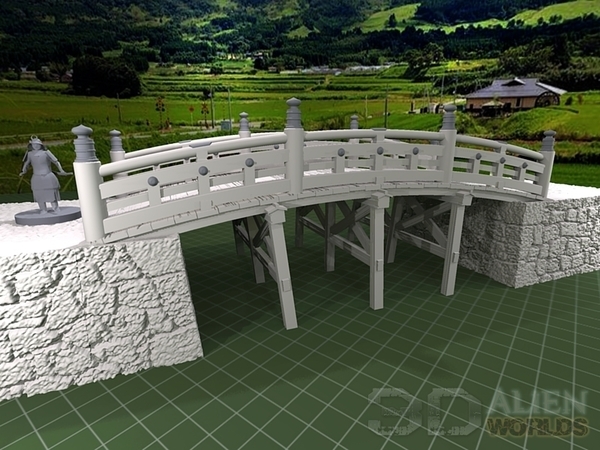 It's been raining all weekend here, so I spent the time finishing up the bridges for the new Samurai Bridges set. 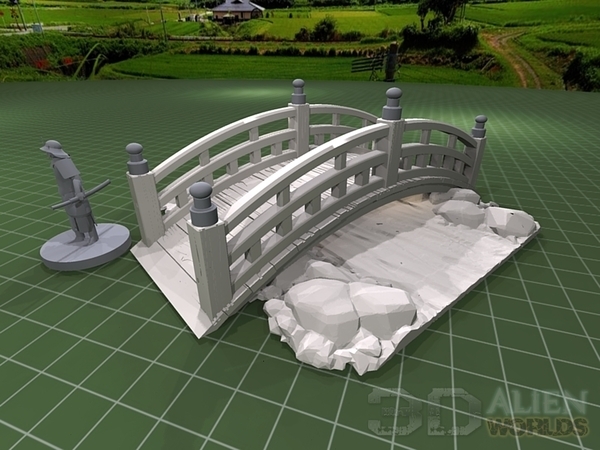 The last blog article showed off the CG renders of the peasant's plank bridge and stone bridge, and today you can take a look at the remaining two bridges. No, I tell a lie.... it's actually 3! 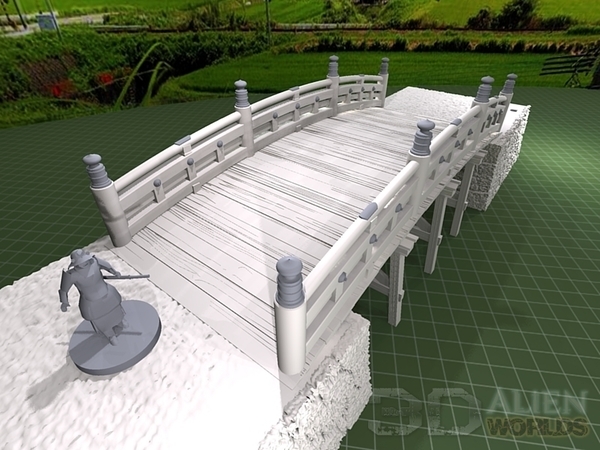 I decided to include a version of the smaller wooden bridge without the handrails, just in case anybody wants that. I'll post that one up to Thingiverse shortly too! ▲ Here's a close up of the wooden bridge. It prints in two main parts and then you simply glue the finial knobs on top. Easy! ▲ Some support braces are also included in the set for each bridge, in case you want to add them for extra style or to bridge deeper chasms. 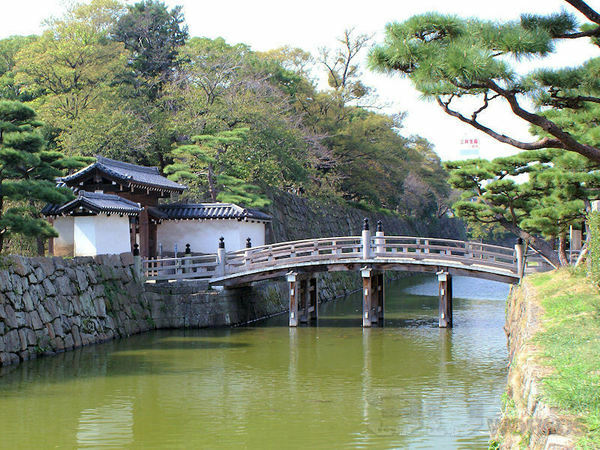 ▲ This is that same wooden bridge as above, but without the side rails. Just a little extra one in the set, in case anybody wants it. The woodgrain pattern on all the wooden bridges has been accentuated towards the ends of each plank, but smoothed slightly in the middle where the passage of many feet would wear it down over time. ▲ The fifth and final bridge is this rather enormous wooden construction. 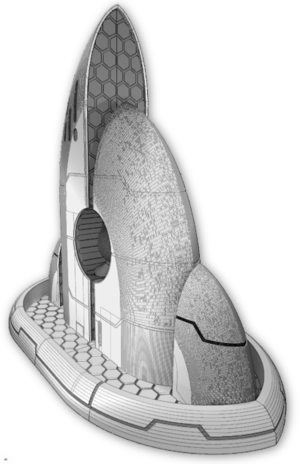 It is 240mm long if you print at 100% scale, and prints in three main sections. 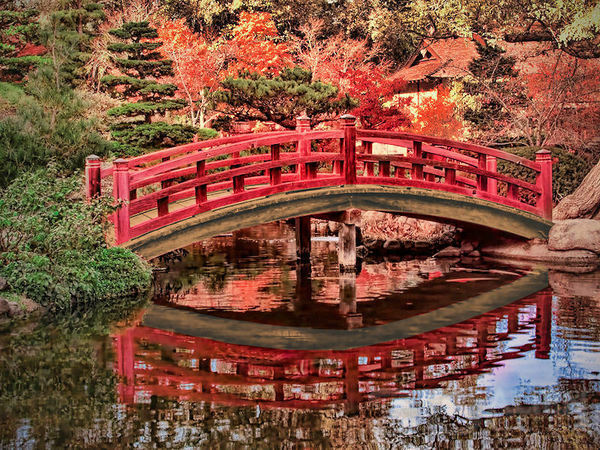 At 100mm wide, it is twice as wide as the other bridges, and would typically be found near castles or main roads. In the CG render above, I added a couple of corner sections from the Castle Walls Set just to show you what this would look like. You could easily set the wall sections at a minus number on the Z axis of your printer (as in the pic above), to 'sink' them through the floor and reduce the height for a castle moat. 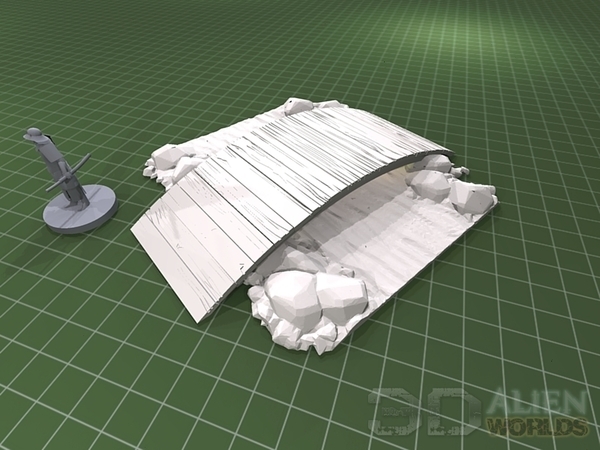 You can also choose to add the optional supports underneath if you want. ▲ See? Pretty wide at 100mm, yes? 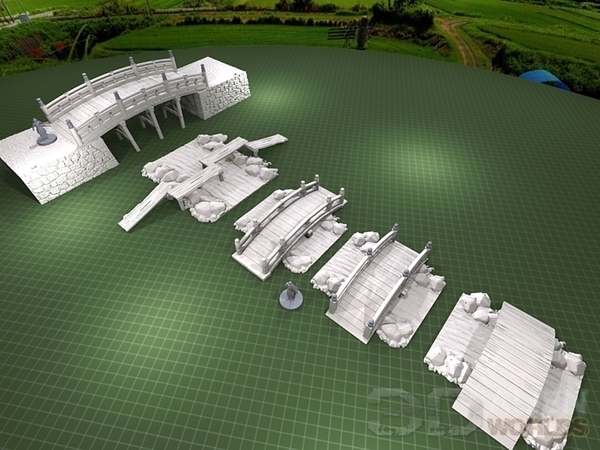 It also fits neatly onto a 120mm section from the castle walls set. ▲ The big bridge is modelled after Osaka Castle bridge, but the atmospheric photo above is actually Wakayama Castle - similar, but more picturesque! Lovely, isn't it? Those look awesome! I can’t wait.